Cassandre Beaugrand (FRA) and Gordon Benson (GBR) brought the curtain down on another ETU Junior European Cup season with victory at Eton Dorney. Beaugrand secured her first ever Junior Cup victory with a narrow victory over Australia’s Jaz Hedgeland, defeating her opponent by just two seconds. Benson won the second European Cup of his career, and his second podium of the year, by defeating team-mate Grant Sheldon on the run to lead home a British one-two on home soil. This was a dominant and polished performance from Beaugrand, who set the tone for her victory by pushing the pace on the swim. She exited the water alongside Holly Grice but was first out of T1 onto the bikes. 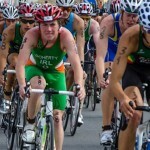 Beaugrand was joined in the lead group with Grice, Emma Sharkey (IRL), Sophie Coldwell (GBR) and Kate Curran (GBR). Together this lead group created a gap of 20 seconds over the 4 lap bike course. As they approached transition it was the New Zealand duo of Mikayla Nielsen and Jaimee Leader, alongside Sharkey, who seized the initiative to head out of T2 in front. But Beaugrand would not panic and she caught and passed the front runners to take the lead. The big push came behind her from Hedgeland who was closing all the time but just ran out of road. Beaugrand slowed and crossed the line with Hedgeland second and Great Britain’s Sophie Coldwell delighted the crowd to finish third – her second podium in three weeks. 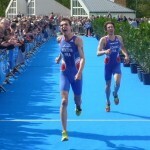 Gordon Benson won the Junior Men’s European Cup with a confident and commanding performance. 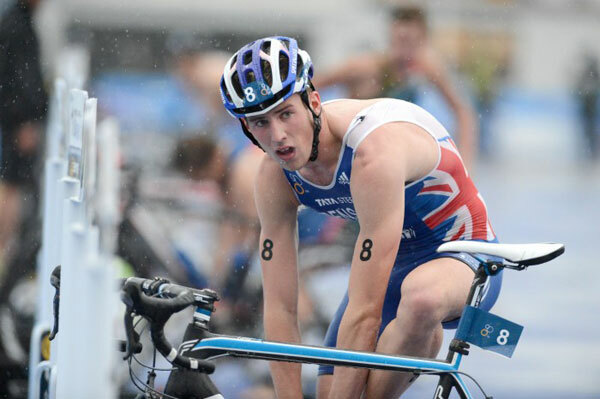 A strong swim by the Brit meant he exited water amongst the leaders but a smooth transition allowed him to exit T1 in the lead. 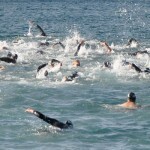 He was joined by a group of ten athletes who quickly formed a break to create a gap. The group, which included Leo Bergere (FRA), Erwin Vanderplancke (BEL) and Benson’s British team-mates Sheldon and Miles Burton, worked well together to increase the gap lap on lap, eventually gaining a lead of 32 seconds on the chasers as they entered T2. It was Burton who led out of T2 onto the run with Vanderplancke and Bergere hot on his heels. But by the end of the first lap Benson had regained the lead with Burton dropping back and Sheldon moving into second. The duo would jostle for the lead over the remaining laps before Benson hit for home and Sheldon had to settle for second place. Italy’s Dalien Stateff completed the podium in third place.